Graffiti has transformed over the last several decades from a sign of urban blight to a sign of artistic expression. As a result of this shift, clothing designers and other players in fashion have begun to use images of “street art” as part of their lines. This leaves graffiti artists with no way of protecting their art, especially because of the illegal nature of graffiti. This note examines current sources of law that can be used to protect artists from this infringement. Artists have unsuccessfully argued under both moral rights and copyright theories. However, copyright and moral rights analyses do not address the nuanced issues that illegal art presents because of the way both areas of law have been interpreted by the courts. Moral rights have traditionally been thought of as preservationist in nature, and copyright has traditionally only covered legally made works of art. However, there is one avenue that can be used to protect this art, which is false designation of origin under the Lanham Act, the federal trademark statute. This note argues that the Lanham Act is a source of law that graffiti artists can utilize to protect their work. Maribeth Smith, Tagging the Lanham Act: Protecting Graffiti Art from Willful Infringement, 81 Brooklyn Law Review (2016). Graffiti has long been a target of municipal legislation that aims to preserve property values, public safety, and aesthetic integrity in the community. Not only are graffitists at risk of criminal prosecution but property owners are subject to civil and criminal penalties for harboring graffiti on their land. 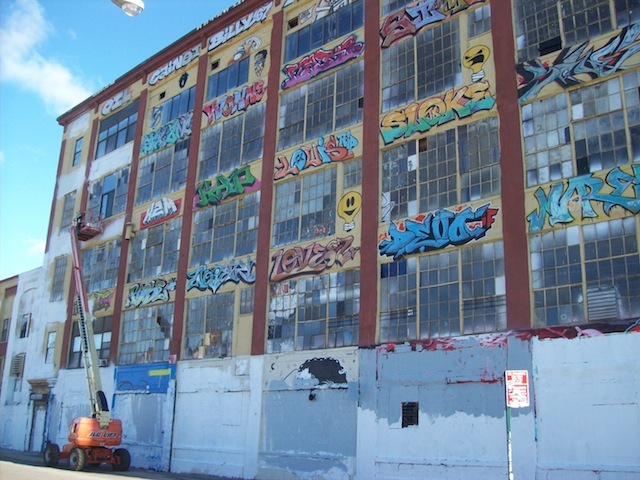 Since the 1990s, most U.S. cities have promulgated graffiti abatement ordinances that require private property owners to remove graffiti from their land, often at their own expense. These ordinances define graffiti broadly to include essentially any surface marking applied without advance authorization from the property owner. Meanwhile, graffiti has risen in prominence as a legitimate art form, beginning in the 1960s and most recently with the contributions of street artists such as Banksy and Shepard Fairey. Some property owners may find themselves fortuitous recipients of “graffiti” they deem art and want to preserve in spite of graffiti abatement ordinances and sign regulations requiring the work’s removal. This Note argues that private property owners who wish to preserve uncommissioned art on their land can challenge these laws under the First Amendment, claiming that, as applied, regulations requiring removal are unconstitutional because they leave the property owner insufficient alternative channels for expression. An interesting paper. As the value of graffiti increases, the law must catch up to help landowners who want to hold on to it. An idea which runs counter to the municipal ordinances which want to clean it up. The idea of who owns something that has value, but has no owner challenges a lot of the our underlying assumptions about property.